I released two songs on Bandcamp this week. They are free/name your price. 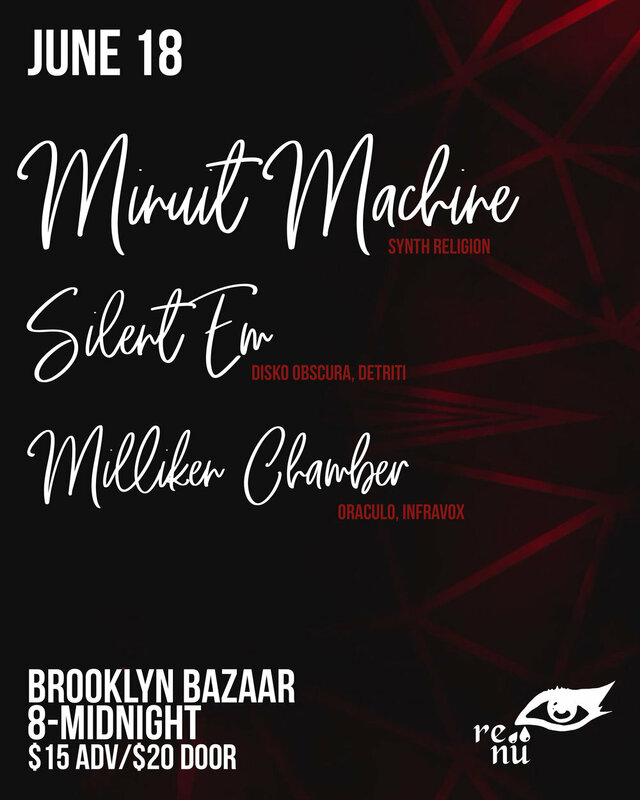 Flyer for Minuit Machine, Silent Em, Milliken Chamber at Brooklyn Bazaar on June 18th. Event hosted by Re:Nu. If you’ve been following along on social media, you’ve maybe heard that I’m dealing with some serious health issues. I expect to recover, but from now until I have surgery, I’m worried about it. It makes me feel better to try to continue creating as much as I can because just in case I bite the dust, I will go out knowing I was active until the end. Don’t squander your good health, enjoy your life while you can.